Blind spots can wreck your book sales – unless you know where to look. Your car has blind spots that can cause accidents if you don’t pay attention. Likewise, your publishing house has blind spots that can derail book sales if left undetected. For instance, I trained a $100 million publisher how to reinvent their process for marketing novels to niche audiences. I’ve helped multiple publishers coach new hires who were young and eager but unaware of the most effective marketing tactics. I’ve shown several houses how to reinvigorate stagnant book franchises with new life. How Does the Publisher Marketing Master Class Work? I do more than just train your team. I walk with your staff through the learning process. The Publisher Marketing Master Class starts with a two-day face-to-face meeting at your location. All teaching is applicable to any genre, including fiction and non-fiction. Your staff will receive world-class instruction, watch examples of marketing principles in action, and interact in an energizing group dynamic. Here’s the best part. A 90-day follow-up period is included for your team to ask me questions, seek accountability, and request my review of their work. Rest assured that learning doesn’t stop after initial training. I’m available to help reinforce new skills. This experience is perfect for onboarding new hires, getting your entire staff on the same page, or enhancing the skills of specific team members. I’ll help you identify and remove marketing blind spots that can hurt book sales. 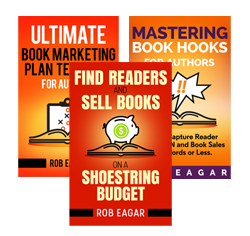 Your team will know how to promote books more effectively and achieve your sales goals. Pricing starts at $10,000 (travel expenses not included). You may include as many employees as desired in the Master Class. However, they must participate in the initial training sessions to qualify for the 90-day follow-up instruction access. To book this experience for your team, contact me by email or call 770-887-1462. Book the Publisher Marketing Master Class for your team today, contact me by email or call 770-887-1462.